One of the problems with doing book reviews for Music Street Journal is that the deadlines for making the issues mean that I don't have a lot of time for reading. When it comes to a lot of the books I get sent for review, that's not a big problem. They tend to be quick reads that are not all that deep. This one is an exception to that premise. In order to make my deadline I've made my way through the book. I haven't really been able to read it as thoroughly as I would like, though. 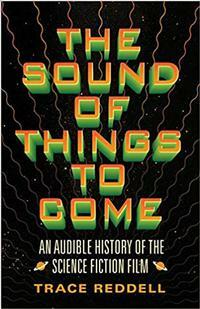 This book touches on so many things I find fascinating, from the Theremin (I still want to buy one of those) to science fiction films, space rock and more. It's all done in a particularly scholarly way. In fact, I could definitely imagine this book being used as a text book for college course. Since Trace Reddell is a professor, it might be used that way. I don't really know. So, the overall review is that this book is brilliant. I found it to be absolutely fascinating. I had thought it was be more about the sound and effects and things in the movies, with little focus on music. In fact, the ratio is sort of reversed from that, with the music itself getting the lion's share of the emphasis. 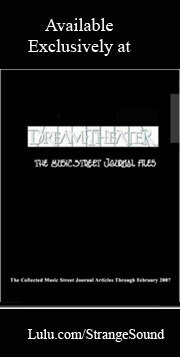 That's a great thing from my point of view, and probably for the readers of Music Street Journal. I may have made my way through giving this a more or less cursory read, but I will remedy that situation. I can't wait to read it again with more time to properly digest all the information. It's a fact-dense book, but not to the point where it feels like one long series of factual information. It's a scholarly text, but still manages to entertain and enlighten. If you love science fiction films and music, I can't recommend this book enough.